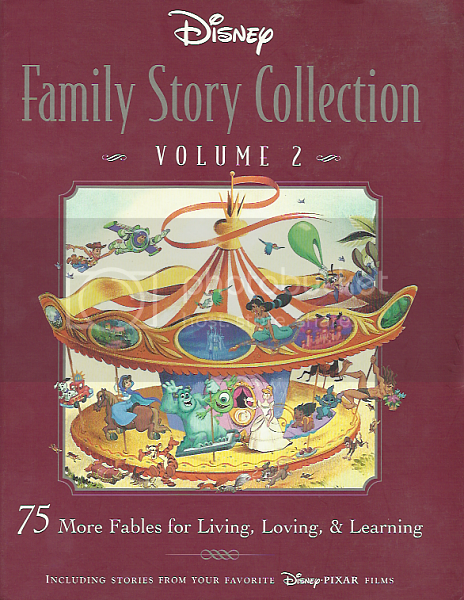 Description (from Amazon): With stories about compassion, kindness, and integrity, Disney's Family Story Collection Volume 2 teaches important messages to today's children. Adapting more than 30 different Disney movies and featuring both old and new favorites, this lavish collection includes 75 heartwarming stories and life lessons for the whole family to share together. GMD mention: Pages 281- 283, "Down but Not Out." Retelling of the scene when Basil is foiled and humiliated by Professor Ratigan. 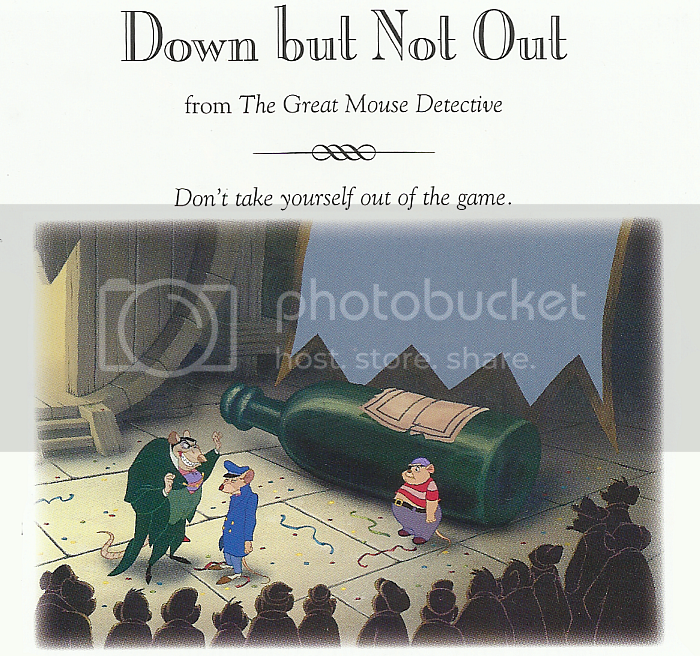 The detective must snap out of his state of shock in order to save himself and Dr. Dawson from the five deadly devices set by Ratigan's thugs: a mousetrap, gun, crossbow, axe, and anvil. The moral of this story is, no matter how bad things may seem, never give up hope. Copyright © 2003 Disney Enterprises, Inc.